This X4: Foundations mod is an early version of the Crucible Corp Wrath M2 Destroyer. This X4: Foundations mod allows players to earn money from mercenary contracts to protect trade ships and miners. This X4: Foundations mod adds the a new sector for the faction Ossian Raider, which is enemy to all but HOP. 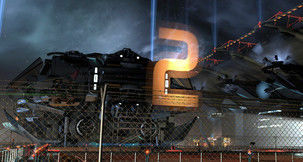 It also adds ships: Taranis, Arawn, Sucellus of XR and new ships Poseidon Freedom Carrier, Albatross Freedom Carrier, Bayamon, Xenon R, Eternal Dawn, Sanctuary, Eureka Eight to X4. This X4: Foundations mod adds the Curcible Corp Jealousy, a better armed but less durable version of the Envy. This X4: Foundations mod updates every single ship, weapon and shield to bring variety to the game and make the combat less arcade-y. All weapons now have different behaviors and sounds, most L weapons have new GFX. Ships are more survivable, larger ships are much less maneuverable. Shields do not have regen delay, now very hard to kill L ship on your own. 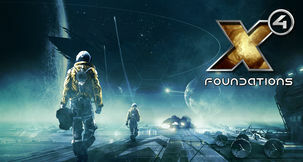 This X4: Foundations mod randomizes supplier logic for player owned stations. 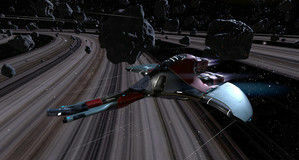 This X4: Foundations mod adds the Nadia ship, which is a better Selene that is faster and has more weapons. It needs a lot more time to build and is also more expensive. This X4: Foundations mod will precalculate the minimum requirements (mainly profit) for a trade deal and accept the first found trade offer which fulfill those requirements. This X4: Foundations mod adds the Crucible Corp Envy M6 Frigate, a Argon Zentaur from X2 remake. Its intended to be sturdy and durable while lacking a bit fire power. Slightly higher missile and crew capacity make up for that. This X4: Foundations changes position of the detail monitor in Hawk "MK3" cockpit to be in front of player, optimized for VR.